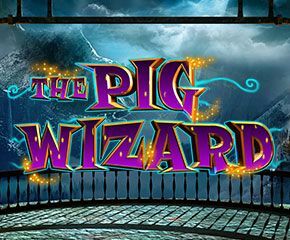 With a magical fantasy theme, The Pig Wizard slots have some unique bonus features and a progressive jackpot. A small pig wearing round glasses and named Harry Trotter is the wizard in this entertaining slots game. NYX (Blue Print) are the developer. Providing exciting and appealing games to the players, this company is a leading game studio. 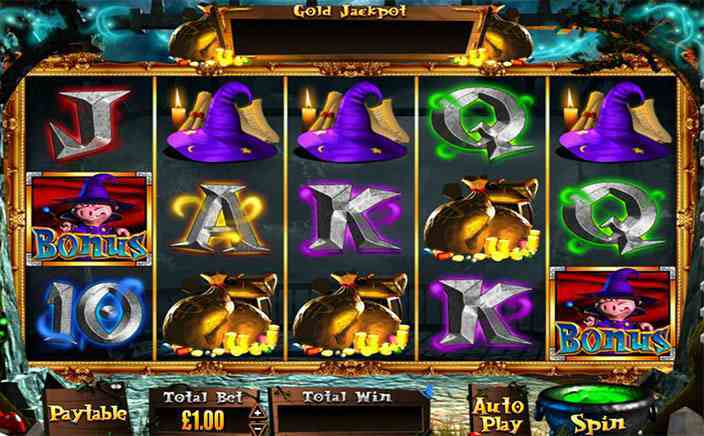 The Pig Wizard slots is another entertaining game that has been developed by them. The Pig Wizard slots have five reels with three rows of symbols and fixed twenty paylines. The whole atmosphere is one of magic, fantasy, and gloom. It comes with many bonus rounds, free spins, and a progressive jackpot. The symbols are consistent with the magic, fantasy theme. The main symbols include a wizard’s hat, a spell book, bags with golden coins. Harry Trotter is the wild, which substitutes all other symbols except scatter. Appearing at the bottom of the reels, Harry Trotter with his magic wand may change two or three reels into wild only or he may cast a mystical spell to change the reels into several successful combinations. 1. Squeal or No Squeal – Select a magic book randomly to discover a cash prize. Press Squeal to collect that prize or No Squeal to select again. This goes on till the player collects the prize or has exhausted the five chances. 2. Magic Mirror Free Spins – If a Magic Mirror appears during any spin, a symbol is selected at random and shown in all mirrors to provide additional possibilities to win big. 3. Trail of Magic – To move on the board, you need to roll the dice. You will be gathering multipliers and other rewards. 4. Progressive Jackpot – This is a progressive jackpot, which increases with each staked bet. It is concealed in any of the four rooms. You win the complete amount if you choose this room. The Pig Wizard slots have an RTP of about 94.48%. A progressive jackpot and several unique bonus features make this slot an entertaining game.